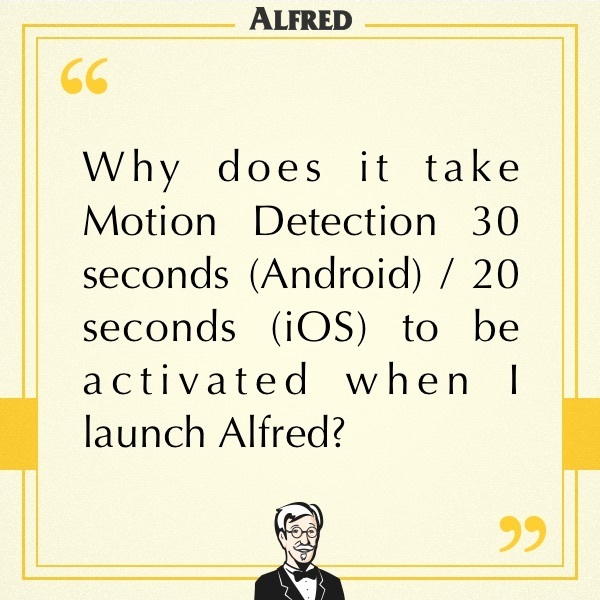 Why does it take Motion Detection 30 seconds (Android) / 20 seconds (iOS) to be activated when I launch Alfred? - Frequently Asked - Alfred Center | get the most out of the best home security app! Why does it take Motion Detection 30 seconds (Android) / 20 seconds (iOS) to be activated when I launch Alfred? Some Superheroes have noticed a difference lately. 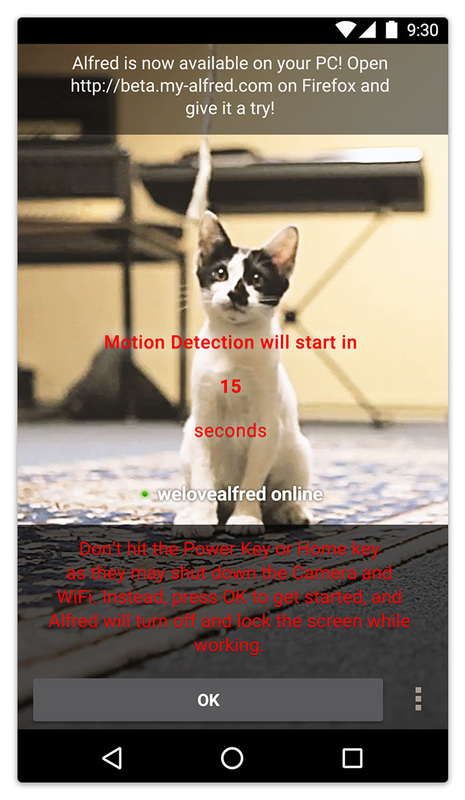 When they turn on Motion Detection on the Camera device, Alfred starts counting down 30 (Android) / 20 (iOS) seconds before Motion Detection starts. Why did we incorporate this into the design? It is because some Superheroes need some time to set up the Camera device. To avoid recording and sending multiple Events of blurry movements as the Camera device gets set up, Alfred gives Superheroes some buffer time. Hope this helps! Has this feature been helpful? Reply to this post and let us know!